Grandesign surfaced at the US Open of Surfing with a giant fish out of water. We set a course for the experiential component of Mammoth Lakes’ #nosmalladventure campaign, and the heads kept turning, hook, line, and sinker. 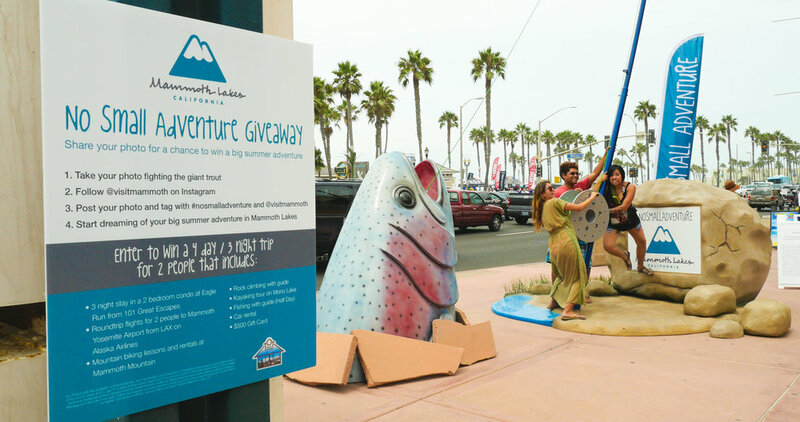 Hundreds of attendees snapped pictures with the sculpture on Instagram, making a splash of impressions for the #nosmalladventure campaign, and entering for a chance to win an adventure of a lifetime, brought to them by Mammoth Lakes.